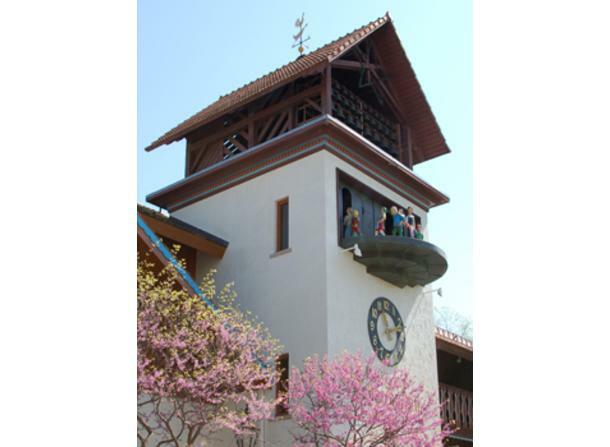 Bavarian Inn's Glockenspiel Tower houses a magnificent 35 bell carillon, a beautiful figurine movement and an illuminated clock, all imported from Germany! Before striking the hour, and on each quarter hour, the clock sounds the Westminster chime. 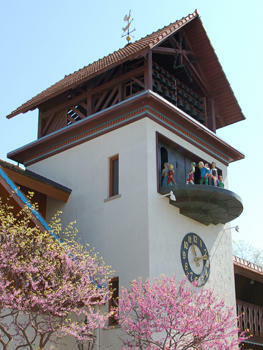 The Glockenspiel chimes at 12:00pm, 3:00pm, 6:00pm, and 9:00pm and is immediately followed by figurine movement depicting the legend of the Pied Piper of Hamelin.